LOTS OF HOUSE FOR THE MONEY!! 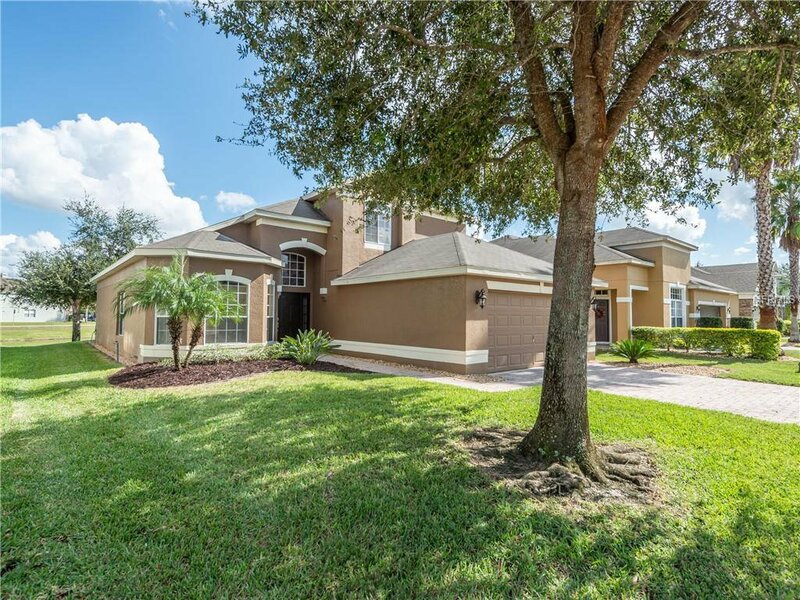 This well maintained home is located just minutes from UCF, shopping and restaurants. Best features are 2 Master bedrooms, Open floor plan, water view and no rear neighbors!! As you walk into the front door you have a large living room/dining room combination. The open floor plan flows into the kitchen and family room. There is a master bedroom downstairs with an en suite. Also downstairs is the laundry room and ½ bathroom. Sliding glass doors open to a large deck overlooking a pond. There is also a screened in porch off the family room. Upstairs you will find a second master with en suite and two more bedrooms with a Jack and Jill bathroom. All full baths have dual sinks and solid surface counter tops. The kitchen has solid surface countertops, stainless steel appliances, pantry and plenty of cabinet storage. All appliances convey including washer and dryer. The vaulted ceilings, open floor plan, and great natural light makes this home seem larger than it is. Listing courtesy of RE/MAX SELECT. Selling Office: AGENT TRUST REALTY CORPORATION.